Can Moderate Social Democracy be Progressive? 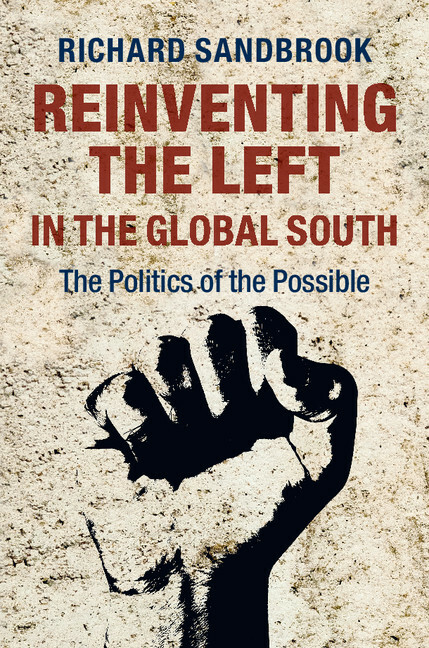 Richard Sandbrook, the author of Reinventing the Left in the Global South, explores progressive politics in Latin America, South America, and Africa. Progressive movements divide into two types. On the one hand, there are leftist parties with a moderate strategy that aim, or at least resign themselves, to implement redistributive programs with the acquiescence of the elites. On the other hand, we find parties that believe that only unrelenting confrontation of existing power structures and inherited privilege will bring the desired results. The division between class compromise and class struggle is fundamental. The moderate social-democratic route is the preponderant path, especially in contemporary Latin America. Prominent cases include Brazil since 2006, Chile since 2000, Uruguay since 2004, Costa Rica from the 1950s until its slide into social liberalism in the 1990s, Mauritius since the early 1970s, and two states of India – Kerala and West Bengal – since the late 1980s. The moderate strategy is potentially progressive in that it avoids populism and the full commodification of labor, land and money, while dealing somewhat effectively with the challenges of poverty and inequality in the context of restrictive neoliberal globalization. Proponents have found a way, though only provisionally, to balance the imperatives of redistribution/equity and accumulation/efficiency in a capitalist economy. They achieve this feat by marrying elements of macroeconomic orthodoxy to a pro-active state, incremental social citizenship and modest participatory institutions. On the one hand, the government attunes monetary and fiscal policy to keeping inflation low and the external debt minimal, and pursues a fairly open economy through trade liberalization and acceptance of foreign investment. To this extent the strategy accords with the Washington Consensus. On the other hand, and contrary to the Washington Consensus, governments promote redistribution from growth via a directive state developmentalism, with the aim of augmenting state revenues, “good” jobs and significantly higher minimum wages. Expanded public revenues and new taxes are used, among other things, to extend social citizenship by means of (usually phased in) universal social protection, targeted cash transfers (such as the famous Bolsa Família in Brazil) and good public services, especially education and health care. Proponents, in addition, promise to bolster democratic participation, both as an end in itself and as a means of buttressing the state’s focus on reducing poverty and inequality. Anxious, however, to allay populist pressures that would undercut their delicate class compromises and pragmatic alliances in the legislature, Leftist governments generally expand only consultations at the national level and consign participatory decision-making to the local level. Hence, moderate social democrats undertake a hybrid approach, one that is neither fully neoliberal nor consistent with traditional notions of progressive politics. State developmentalism, less apparent than the orthodox policies, deserves further attention. This approach lies between free-market orthodoxy, where the ideal is the self-regulating market, and the developmental state, where the state governs the market even to the extent of picking and promoting “winners.” During the hey-day of import-substitution industrialization from the 1950s to the 1970s, many states played a highly directive role in the economies of the Global South. Governments involved themselves not only in extensive regulation but also in building a large sector of state-owned enterprises in utilities, transport, banking and sometimes manufacturing and agricultural production as well. The debt crisis and the consequent empowerment of the newly neoliberal World Bank and IMF rolled back interventionist states outside East Asia in the name of what became known as the Washington Consensus. However, in the 2000s, “industrial policy” (that is, some degree of state direction) experienced a renaissance spurred by disillusionment with the efficacy of neoliberal remedies in the 1990s and admiration for the achievements of the developmental states of East Asia and China. Clearly, the moderate social-democratic strategy is highly complex, requiring a deft touch. In my book, Reinventing the Left in the Global South, I elaborate this view and provide illustrations, especially from contemporary Brazil. Paradoxically, even when, as in Brazil since 2004, the government succeeds in reducing poverty by two-thirds, decreasing income inequality and creating many new jobs (before the current downturn), it faces angry demands for more from a civil society reinvigorated by the ascent of the Left. Consider the mass protests that swept Brazil in June and July 2013. Observers attributed the demonstrations to a general frustration with traditional politics in Brazil, the persistence of high inequality (even if lower than a decade earlier), and expectations that had outrun the means to satisfy them. Many Brazilians were disappointed that, despite free electoral democracy and an incumbent socialist party, not enough had changed. Finally, highly concentrated private media empires used the protests to bludgeon the PT (Workers Party) administration with charges of incompetence and corruption. The protests signalled anger, demands for better services, cleaner politics and improved opportunities, but no coherent idea of how to change the situation. The Brazilian protests, together with the similar ones in Chile beginning in 2006,, illustrate the limitations of moderate social democracy. Despite its achievements, the party must deal with constituencies that expect more. Yet the progressive government is highly constrained. Private media empires dwell on every supposed deficiency of the Left to stir up popular opposition. The Left, broadly defined, usually holds a minority of legislative seats, requiring the government to make dubious concessions to opportunistic minor parties to pass key legislation. All parties, including the PT, need campaign funds to fight elections, but that usually means cultivating private firms and wealthy individuals. It is challenging, to say the least, to make the rapid progress toward equal freedom that the people expect. Moreover, moderate social democrats may succeed in balancing conflicting imperatives only as long as growth continues. The commodity boom through much of the period 2003-13 served the Left well. But when growth recedes, the leadership loses its ability to promote both accumulation and redistribution (or, rather, redistribution from accumulation). The moderate Left’s choices may then become stark: to seize the accumulation imperative in reassuring investors, thus reverting to neoliberalism, or to embrace asset as well as income redistribution, thus effectively moving to class confrontation. Either path will prove tumultuous.